Systems Plus Transformations has been formally awarded ISO 27001:2013 Certification by the central certification bodies in the world, BSI. The ISO 27001 certification was awarded following a rigorous auditing process which means the company has been independently certified and awarded the internationally recognised highest information security standard. 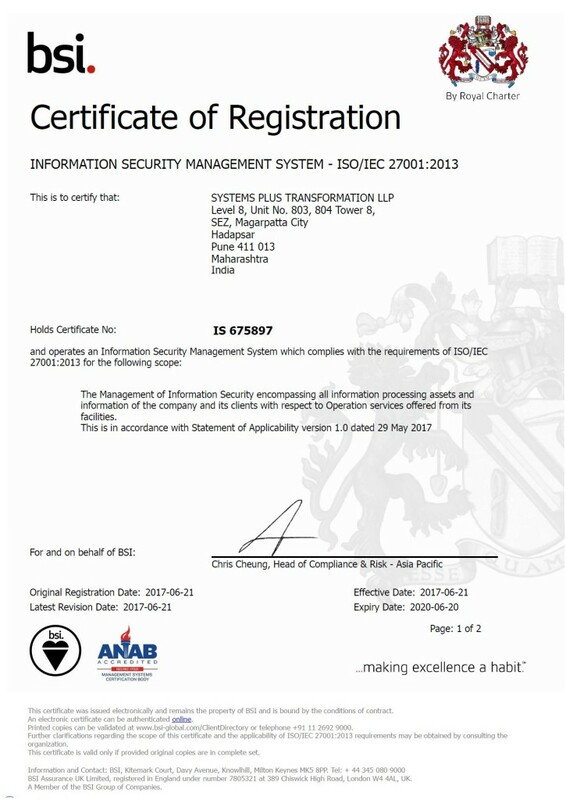 The certification with this internationally recognised security standard demonstrates Systems Plus’s commitment to the professional management of information security, including providing the highest level of control for risk management and customer data protection. The International Standards Organization (ISO) creates stringent and rigorous standards that specify worldwide requirements for products, services, processes, materials, and systems. ISO 27001 is the new international standard created specifically for Information Security Management Systems (ISMS). 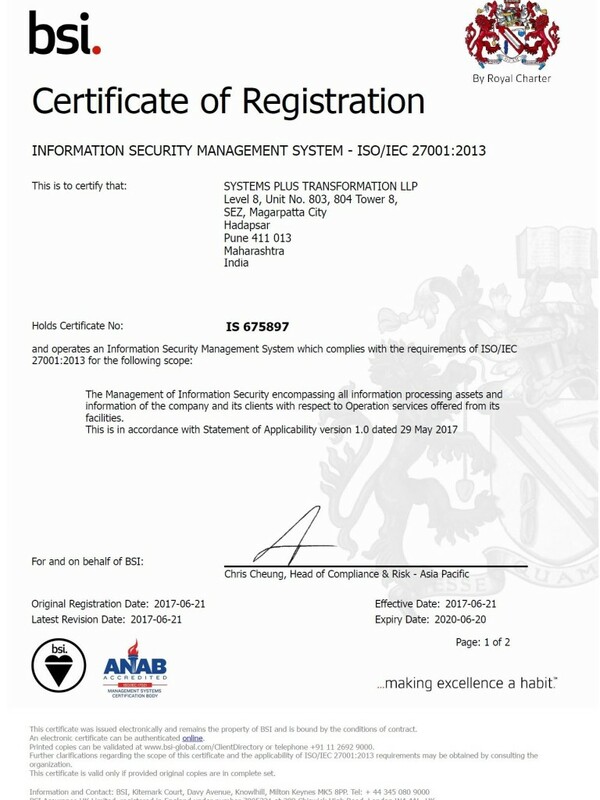 Click here to see the authenticated certificate of registration.